How to Make Money at Foreclosure Auction! These days, with so many BIG-PROFIT deals popping up at each month’s foreclosure auction, lots of real estate investors – both new and experienced alike – are asking how to successfully buy at the foreclosure auction. 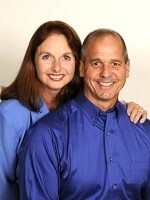 Here are the main topics Bill and Kim Cook will cover at March’s Atlanta REIA West Meeting on Monday, March 28, 2011, from 6:30 to 9 PM at the Cherokee Cattle Company at 2710 Canton Road, Marietta, GA (map). How do you make sense out of the foreclosure ads in the legal section of the newspaper? What do you do when you’re out looking at foreclosure property? What do you say to a homeowner? How do you prepare for the monthly foreclosure auction? How do you finance your foreclosure deals? What are the biggest mistakes made – by both new and experienced investors – at the foreclosure auction? If you are the high bidder, what do you do next? So many properties have been foreclosed on and repossessed by the banks which are using “ballroom auctions” to liquidate the extreme excess of properties they have in inventory right now. Many times these REO’s sell for 40-50-60 cents on the dollar! There are some incredible deals to be had at these auctions, but you MUST know what you are doing to play in this game. The deals are plentiful if you know what to look for and what to avoid. Come join us on Monday, February 28th at 6:30 PM as we kick off our very first Atlanta REIA West Meeting at the Cherokee Cattle Company located at 2710 Canton Road in Marietta, GA, where Leslie Mathis will take you step-by-step through what you can expect, and more importantly, what you need to know, to successfully buy REO Properties at these ballroom auctions. She will even cover a couple of strategies that will allow you to make quick cash without long-term ownership, simply by putting these properties under contract, then finding investor-buyers for them. Get paid thousands of dollars in just 30 to 45 days! Update: This Mastermind Group has reached capacity and is now a closed group. You may contact Russ or Beth to put your name on the waiting list in case any new spots open up. Russ Hiner and Beth Fasnacht are teaming up with the Atlanta Real Estate Investors Alliance to form a brand new Real Estate Investor Master Mind Group on January 31st, 2011. They will be meeting held at 8AM at La Madeleine French Bakery & Cafe located at 1165 Perimeter Center W (map) in Sandy Springs. Come join us and help shape the future of this new group! Mastermind Mission: Support the Business Owner/Operator in a positive, uplifting, and trusting environment for the mutual benefit of the organization. Movers and Shakers is an brand new Atlanta REIA educational and networking group led by Gordon Catts that is designed to meet the interests and needs of intermediate and advanced investors. Our first meeting is on Monday, January 17th at 11:00 AM at the 5 Seasons Brewing located at 3655 Old Milton Parkway in Alpharetta, GA (map). The doors open at 11:00 AM and the program officially starts at 11:30 AM. Atlanta REIA members can attend at no charge and non-members for $5.00. This meeting will take place each month at the same location on the 3rd Monday of each month, so update your calendar and be sure to attend! 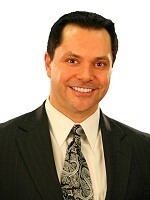 What will the real estate market be like in 2011? What should you do to hedge your position to take advantage of opportunities and avoid the pitfalls? What are the market trends and why? How will you adjust your business plan for these changes in the market? Come hear Dyches discuss his take on these topics based on his 30 years of experience investing in the Atlanta real estate market. Bring your questions for discussion as well. We look forward to seeing you there! IMPORTANT NOTICE: Atlanta REIA will be moving to an upscale new venue at the W Hotel Atlanta Perimeter located at 111 Perimeter Center West, Atlanta, GA (map) just across the street from Perimeter Mall. Members and guests can arrive early at 5:00 PM and mingle in the hotel lobby and lounge. We will begin setting up the meeting room at 5:30PM and getting ready for the Haves and Wants Speed Marketing Session which will begin at 6:00 PM sharp. Free parking is available for members and guests in the parking lot conveniently located behind the hotel. 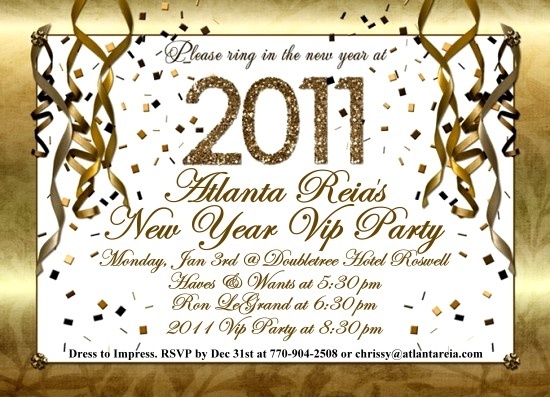 If you haven’t heard by now, Atlanta REIA’s New Year Meeting and VIP Party is starting at 5:30PM on January 3rd, 2011 at the Doubletree Hotel in Roswell with our very special guest, Ron LeGrand! This is sure to be our BIGGEST and BEST monthly event so far and you are invited! Guests and members of other local REIA groups can attend at NO CHARGE this month. Come check us out, network, have fun and celebrate the New Year with us and see what all the buzz is about first hand! Be sure to dress sharp (business attire), bring plenty of business cards and your camera for networking. There will be speed marketing, training and plenty of VIPs and networking with a cash bar and hors d’oeuvres. 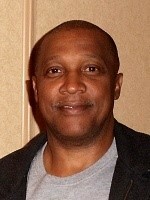 This month, Joe Thompson will host Atlanta REIA’s new Haves and Wants Speed Marketing Session starting at 5:30 PM sharp. The purpose of this session is to make deals happen by giving our members the opportunity to quickly market things they HAVE and no longer want and to find things they WANT but don’t yet have. We will be video recording the session and putting it on AtlantaREIA.com for 24/7 playback to help you market your Haves & Wants throughout the month. Here’s what you need to know to participate: (1) Members and guests are welcome to participate this month. (2) Show up early (5:15PM) to get on our participant list since spots are limited due to time constraints. (3) Bring a single flyer with big, bold letters including your Name, Phone & Email as well as your have’s and wants. We will digitally project your flyer up on the big screen, so avoid fine print that will be difficult for the audience to read. (4) You need to be prepared to address your haves, wants and contact information quickly since you will only have 30 seconds to one minute depending on the number of participants. (5) Remember, you can bring business cards additional flyers with more detailed information for discussion during the networking session and VIP Party. We’re going to take a few minute to tell you what’s new with Atlanta REIA, what events and workshops are coming soon and how to become an official Atlanta REIA Member while “Charter” memberships are still available. Click here for more information on how to Join Atlanta REIA Online while Charter Member and Goodwill Ambassador status is still available. Ron LeGrand be delivering a special, never heard before presentation called “The 7 Top Requirements For You To Prosper As A Real Estate Investor.” Ron has bought over 2000 houses personally over 29 years and trained over a half million people on his simple system and his tell it like it is, humorous delivery by the most qualified man alive may be a turning point in your life as it has been for so many others. He’ll come bearing gifts and do a Q & A after his talk and networking at our VIP Party, so don’t plan on leaving early. 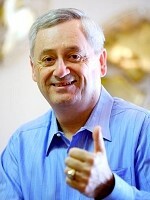 Come see, meet and greet the “Godfather of Real Estate Investing” Monday night! BTW, Ron will be back in Atlanta on January 15th for a one day Fast Track to Wealth Workshop, so clear your calendar now! There will be a very special Late Nite Networking VIP Party after the Atlanta REIA Meeting starting around 8:15 PM. There will be a cash bar and hors d’oeuvres. Dress code is business attire. All local speakers, vendors, business associates are welcome to attend at no charge as well as members of other local REIA groups. Come out network, have fun and celebrate the New Year with us! Please RSVP for this event by contacting Chrissy at 770-904-2508 ext 1 or chrissy@atlantareia.com. Also be sure to bring your camera and/or video camera to take lots of pictures and videos for posting online and sharing with Atlanta REIA, your friends and/or customers. Not only do we like to network in person at our Atlanta REIA and Late Nite Networking Meetups, but we like to socialize via social networking online too! Follow us and we’ll follow you back so you can expand your social network, post comments, photos and videos on our social networking sites and more! You can be a friend and follow us online at the following sites and network with us 24/7! Ron LeGrand is Coming to Atlanta REIA on January 3rd! Atlanta REIA is very proud to announce that real estate investing legend and millionaire maker, Ron LeGrand, will be speaking at the January Atlanta REIA Main Meeting on how to make money investing in today’s real estate market without using your own cash or credit. 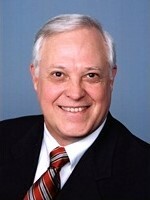 If you are new to real estate investing, there is perhaps no one better to learn from than Ron LeGrand! The meeting will be held January 3rd, 2011 at the Doubletree Hotel in Roswell, GA and starts at 5:30 PM. Guests can attend this special meeting at no charge. This includes members of GaREIA, North Metro REIA or any other REIA Group. Come celebrate the New Year and kick it off the right way with Ron LeGrand and Atlanta REIA! Haves & Wants Speed Marketing Comes to Atlanta REIA Main Meeting Starting January 3rd! Atlanta REIA has asked Joe Thompson of the weekly Have’s and Wants Meeting to host Atlanta REIA’s new Have’s and Wants Speed Marketing Session starting January 3rd at 5:30 PM at the Atlanta REIA Main Monthly Meeting. Our goal for this session is the same as at Joe’s Thursday meetings. Joe says “Were looking to aid our members who HAVE things they no longer wish to have as well as those members who WANT things they have been unable to find through their own networks. Our Mission is to increase our members networks and their ability to access the resources necessary to increase their business.” This session is all about making deals happen, so bring in your have’s and wants and share them with our live audience. It gets even better… we will be video recording the Speed Marketing Session and putting it on AtlantaREIA.com for 24/7 playback. This is a great way to spread the word about what you may have or want with our members, guests, friends and followers online and off. Come join us, bring your deal flyers and share your haves and wants and make deals happen! Bring your digital camera to the Atlanta REIA Meeting and Party and take lots of pictures and videos of you and your friends during the event. After the Speed Marketing Session, Dustin Griffin is going to show you how to upload pictures and videos to Facebook from your PC or cell phone and tag yourself and your friends if you don’t already know how. Using pictures and video is a great way to network and make friends in-person and to continue networking online long after the meeting and party is over. 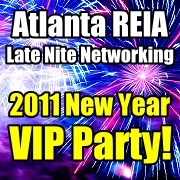 Our 1st Atlanta REIA / Late Nite Networking VIP Party of the New Year on January 3rd! There will be a very special Late Nite Networking VIP Party after the Atlanta REIA Meeting starting around 8:30 PM. There will be a cash bar and hors d’oeuvres. Dress to impress (business attire). All local speakers, vendors, business associates are welcome to attend at no charge as well as members of other local REIA groups. Come out network, have fun and celebrate the New Year with us! If you are interested in sponsoring this meeting or future meetings, please contact Chrissy at 770-904-2408 ext 1. We founded the Atlanta Real Estate Investors Alliance back in June of this year, had our first meeting on July 5th and have been getting stronger and stronger each and every month thanks to your help and support. Our Charter Membership Drive, which began on October 4th, will end on January 31st, 2011. This does not mean that you can’t still become an Atlanta REIA Member, it just means that you will not forever be classified as a “Charter” or “Founding Member” of the Atlanta Real Estate Investors Alliance. If you do choose to become an official Atlanta REIA Charter Member, it will be a designation and honor that you can put on your “resume” for many, many years to come. We will also be forever listing you on our website, as well as a plaque at our headquarters, as an official Atlanta REIA Founding Member of organization. This way, many years from now, you can look back and say I helped make Atlanta REIA the #1 real estate investor alliance in the South! Join Atlanta REIA Now! Again we thank you for your support! The Atlanta REIA South Meetings are resuming once more starting tonight at 6:30 PM at Ryan’s Restaurant located at 5425 North Henry Blvd in Stockbridge, Georgia. Atlanta REIA members can attend for free. Guests can attend for $5.00. Show up at 6:30 PM if you wish to eat and network before the meeting officially starts at 7:00 PM. 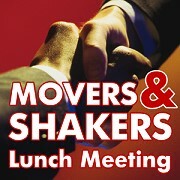 There will be Late Nite Networking afterwards around 9:00 PM at the Taco Mac in Stockbridge. Atlanta REIA had originally teamed up with the SMART Group led by Marc Fordham to host Atlanta REIA South, but Marc canceled the past 3 meetings and all future meetings indefinitely due to personal time constraints. Because of this, Atlanta REIA South has found a new leader, by the name of Reggie Jackson, and will start meeting once more on the 2nd Thursday of the month at Ryan’s Restaurant in Stockbridge. We hope you will attend and show your support as re-launch this group! Atlanta REIA December Meeting & Christmas Party is TONIGHT! 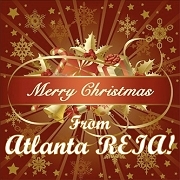 We at the Atlanta Real Estate Investors Alliance want to wish you and yours a very Merry Christmas and Happy Holidays! On Monday, December 6th starting at 5:30 PM at the Doubletree Hotel in Roswell, GA, we are having a very special Atlanta REIA Meeting and Christmas party. Atlanta REIA Members may bring guests at NO CHARGE and non-members may attend for FREE as well. Come one, come all and celebrate the holiday season with us and many other Atlanta real estate investors, entrepreneurs and professionals. From 6 to 7 PM, I’ve asked several of our good friends, business members and fellow investors such as Jeff Nix, Mark Galey, Joe Thompson, Erven Kimble, Karen Bershad and a few others to address our group about what we have going on at Atlanta REIA and are planning in the near future. From 7 to 8:30 PM, our good friend, guru and very successful commercial real estate investor, David Lindahl, will be our main speaker for the evening and will be talking about how to successfully invest in commercial real estate and make a fortune in today’s real estate market. 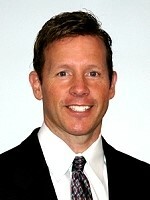 Dave is NOT one of those real estate gurus who is all talk and no action. 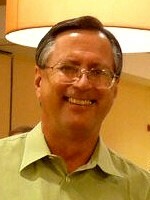 Dave currently owns over 7200 commercial units and is still actively working the business. In fact, we did a short webcast with Dave yesterday, live from Huntsville, Alabama where he was overseeing some of his properties there. Click here to listen to the webcast with Dave. If you attend our December 6th Meeting, Dave has a special gift for you… FREE Tickets to his Wealth Conference on December 11th and 12th in Buckhead. This is an event you don’t want to miss! After Dave speaks, we will be having our Atlanta REIA / Late Nite Networking Christmas Party starting around 8:30 PM. There will be music, a cash bar and hors d’oeuvres so come out eat, drink, learn, network and celebrate the Christmas Season with us! TONIGHT ONLY: Gold Charter Business Memberships for Only $150/year! Any business who joins Atlanta REIA at our Atlanta REIA Meeting tonight only for $150 will automatically be upgraded from a Silver Membership to an Atlanta REIA Gold Charter Business Membership ($350 value) at no additional charge! This is another $200 savings for joining at our Monthly Meeting and Christmas Party. To take advantage of this Christmas special, Download our Atlanta REIA Charter Business Application, fill it out and bring it with you to the meeting and we will take care of the rest. Be sure to complete our Goodwill Ambassador Form if you want to get paid up to 50% to refer us new members. Merry Christmas! For tonight and tonight only, you can join Atlanta REIA as an Individual Silver Charter Member for $75/year and save $25. You can add a 2nd adult member from your same household to your Silver Membership for $50/year. Better yet, you can also join Atlanta REIA as Gold Charter Member for $200/year and save $150/year! Gold Membership includes a second membership for an adult from your household and up to 50% off Atlanta REIA workshops and seminars. Both of these special prices are good for tonight only at the Atlanta REIA Meeting and Christmas Party. To get in on this special Christmas offer, Download our Atlanta REIA Charter Membership Application, fill it out and bring it to the meeting. We will give you the appropriate discount when you apply in person. Be sure to bring in our Goodwill Ambassador Form too if you want to get paid up to 50% to refer us new Atlanta REIA members. See you tonight and Merry Christmas! Members of Other REIA Groups Welcome to Attend Tonight! If you are currently a member of the Georgia Real Estate Investors Association (GaREIA), North Metro Real Estate Investors Association (NorthMetroREIA) or any other REIA Group, you are welcome to attend our Atlanta REIA December Meeting & Christmas Party at NO CHARGE. Come check us out for FREE and think about joining! Merry Christmas!